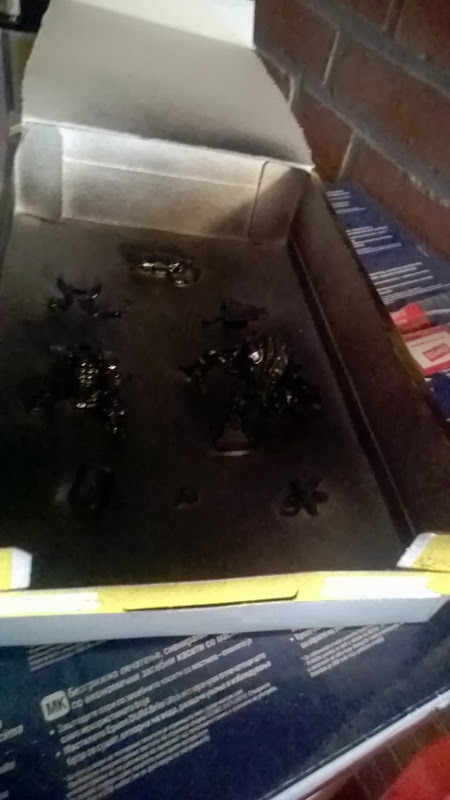 I’m an avid Warhammer painter (not as much a player as I still lack an actual painted army to play with) and over time I’ve found a few things that work well, one of them is my cereal spray paint box. Most figurines require a coat of base paint so you can paint over it with other paints. This ensures the paint sticks well, especially on non-plastic figurines though I also do this for plastic figurines. I haven’t sprayed any figures since I moved from the UK back home and I threw away my last spray box when I packed my stuff. So I’m sharing my process of making my new box since it’s both cheap and easy. The upside to this way is that you can close the box while still having ventilation (especially handy when you spray in a place where stuff could fall on it) and that the box is easily replaceable(though once I make one I usually keep them until I break it). REMEMBER! ONLY SPRAY IN A WELL VENTILATED AREA! 1. 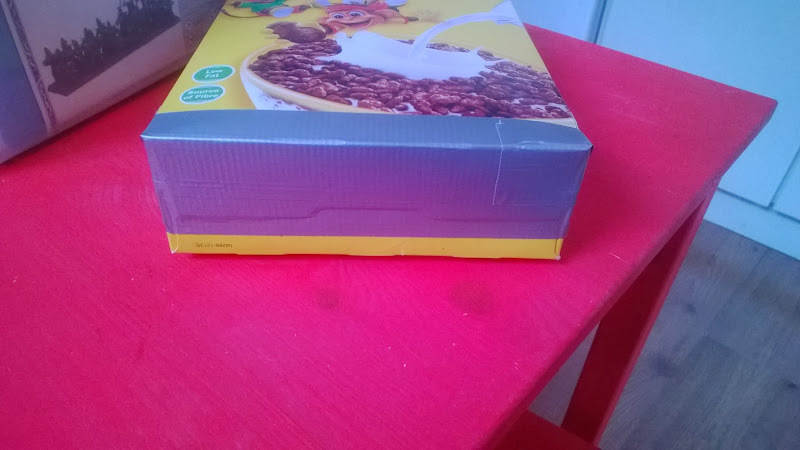 Tap off the bottom of the box and don’t forget to also put a bit of tape 1 cm/ 0.5 inch on the side where you will cut the lid. 2. 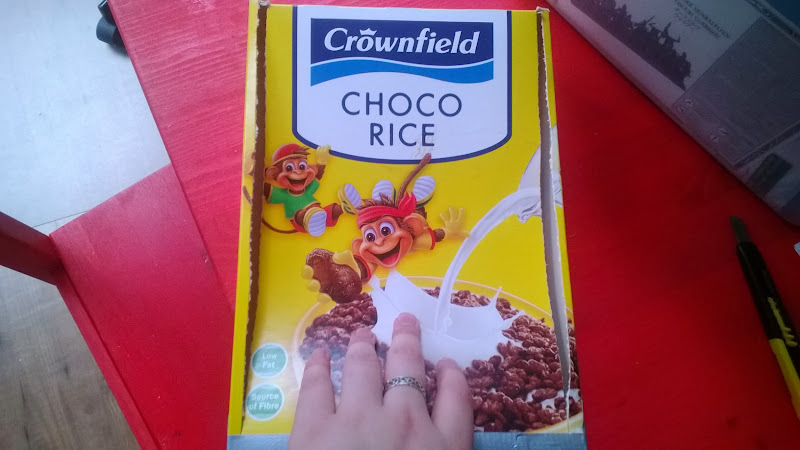 Cut the lid, you only need to cut the sides as it will open at the front (the top of the box) and you’ll need to keep the bottom attached. 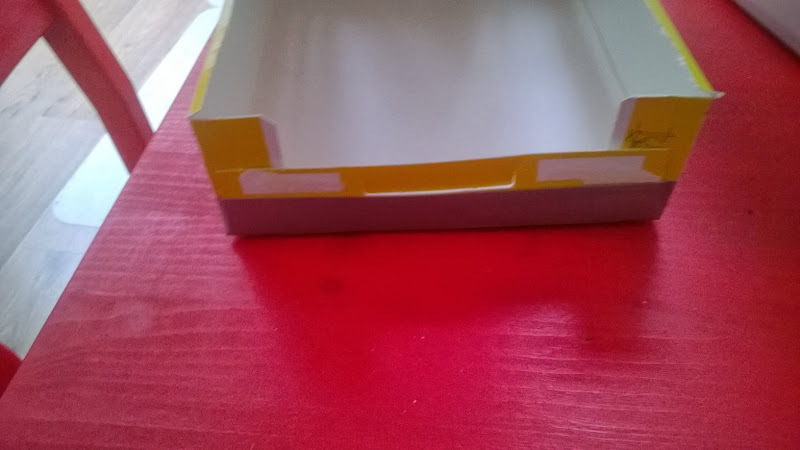 I cut about 0,5 cm/0.25 inch from the sides of the box. 3. 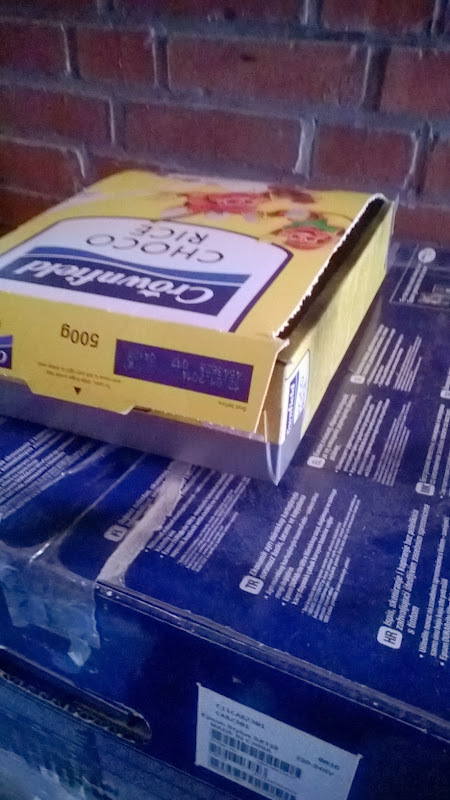 Fold the box open and make a sharp fold against the tape line. 4. Put tape at the front bottom so that it keeps its shape well. 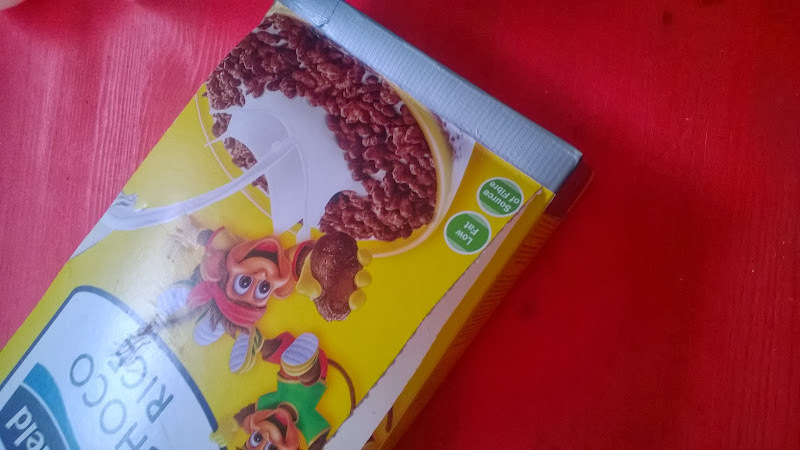 Pay attention that you don’t cover the closing mechanism of the box. 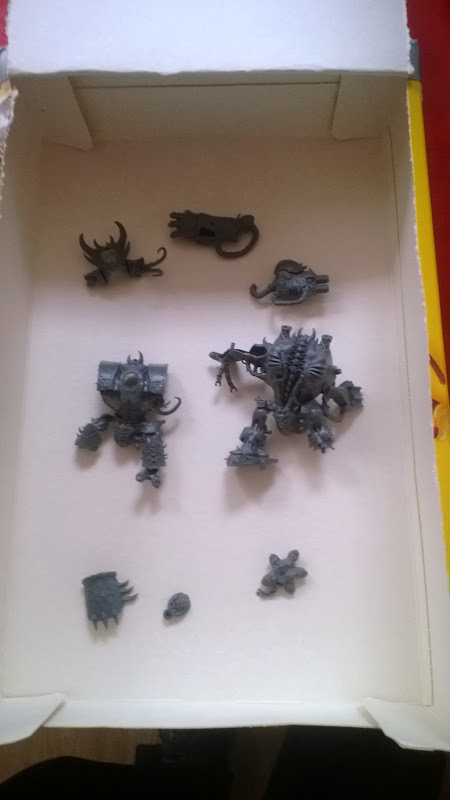 You can now put your figurines (or parts of them like I do) into the box to spray them. 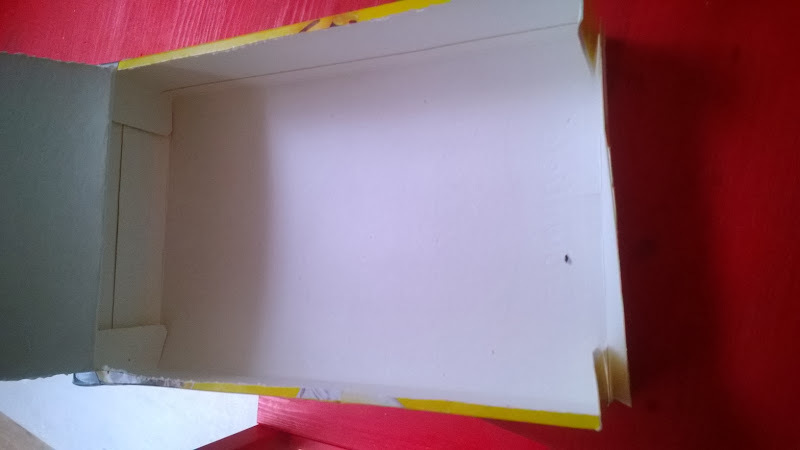 Don’t forget to spray in a well ventilated area and to put something under the box that is allowed to get dirty as the spray cloud will settle over anything within a 30cm range of the place where you spray (though the box will catch most of it). First side is sprayed, you can see how dirty the box becomes. And this is what the box looks like closed after spraying, you can see the black on the edges. 40.000, 40k, creative, figurines, Games Workshop, holidailies, Lord of the Rings, Malifaux, painting, tips and tricks, Warhammer, Warhammer 40K. Bookmark.